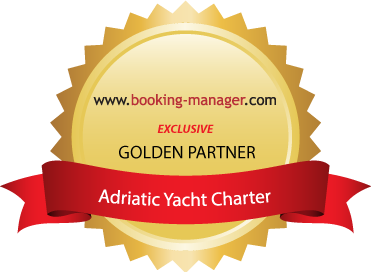 Adriatic Yacht Charter is a family run company with one of the largest fleets on Adriatic, located in 6 top sailing spots along Croatian coast. During the past 18 years of operation, they have developed successful business model and emerged as the yacht charter industry leader. Booking Manager as a leading software solution in our industry made our work much easier and faster, saves us time so we can be more responsive to our partners and client needs. Adriatic Yacht Charter has started operating in 1999 as a small family owned business offering just 2 Elan 431 sailing yachts based in ACI Marina Pomer, at the North of Croatian Coast. At the very beginning, company founder Igor Benić defined a development strategy to serve their primary goal: to make any sailor feel at home by paying personal attention to each element of booking process as well as providing quality support during the stay on board. Year after year as their individual approach to clients and extensive background knowledge have delivered more and more satisfied business partners and end customers, Adriatic Yacht Charter has been enlarging their offer with new attractive charter destinations and yacht models. Nowadays, AYC fleet consist of 75 yachts from the world’s best shipyards, located in 6 bases along the Adriatic Coast: Pula, Pomer, Zadar, Murter, Kaštela and Dubrovnik, making them one of the largest fleets in Adriatic area. Excellent geographic positioning of the AYC bases and yachts allows clients to lay at anchor in some of the best known sailing destinations worldwide. Finely selected fleet includes 63 sailing yachts, 7 motor boats and 5 catamarans ranging from 32 to 55 feet, recently upgraded for the upcoming 2017 season with 10 brand new Dufour luxury sailing yachts. Despite the dramatic growth and job enlargement, AYC is still operating as a family charter company and driven by personal effort. ‘We constantly offer high standards of quality, maintenance and yacht preparation to keep our clients always satisfied’ concludes the key strategy points, Boško Čelić, the company's booking manager. Every AYC yacht includes up to 5 Wi-Fi devices with unlimited internet connection onboard which enables guests to check route information, weather forecast, or visit their favourite web pages free of charge. In addition, to ensure untroubled sailing experience AYC support service is available for guests 24/7 via mobile device on board, also free of charge. More than half of the fleet is equipped with an air conditioning system which runs on shore power, with the exception of two catamarans Lagoon catamarans supported with generator electricity on board and a possibility to run air condition also at the sea and provide even better comfort. If the guest decides to sail with a pet, AYC is a pet friendly company and will welcome each crew member with a smile. Furthermore, guests can order groceries online to be delivered at the day of check in and save the precious time to enjoy themselves on board. Company evolution from small business to one of the largest fleets on Adriatic had dramatically increased responsibilities and duties for AYC staff and required stronger organisational tools to achieve successful management in the future. Therefore it was logical for Adriatic Yacht Charter to choose Booking Manager as an exclusive booking system to effectively manage increased number of office tasks that had to be performed while at the same time keeping the quality level high and nourishing the atmosphere of family company where each and every client is treated individually. Additionally, AYC has integrated Booking Manager with their website so that customers are able to directly check all data about availability, yacht technical specification, and prices as well as make booking requests in real time. This way Adriatic Yacht Charter automatically provides a prompt and accurate response to any query which is essential element of customer satisfaction. For more information, check out the Adriatic Yacht Charter website.